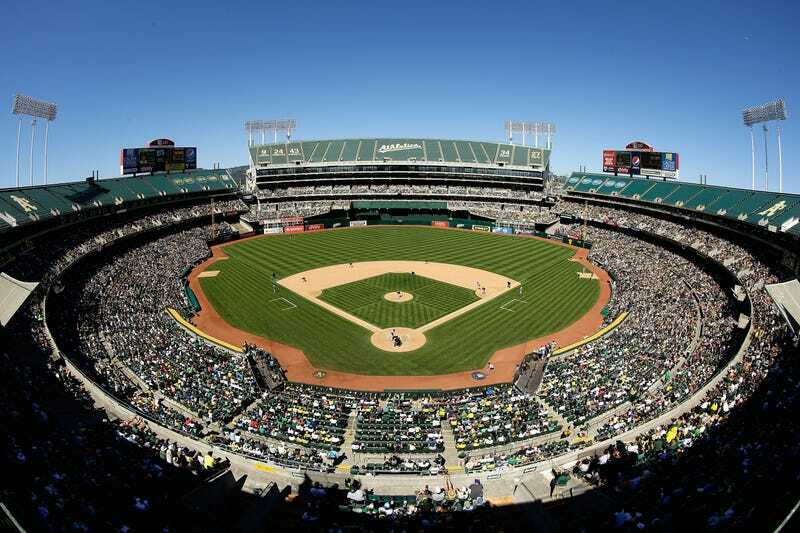 It has not been a great few years for hygiene at the stadia of the American League West. Earlier this year, a Houston Astros vendor pooped next to his snowcones. Before that, rats scurried all over Angel Stadium. (And, oh god, let us not forget the bees. So many bees.) And now a scourge has hit poor, unloved O.co Coliseum in Oakland. But Cisco Field, the Athletics' proposed publicly financed new home in San Jose, will not open until 2017 at the earliest—if it gets built at all, which it probably won't. All of which is to say that the team'll have to turn sewage-flooded clubhouses into a market inefficiency. And, judging from the words of reliever Sean Doolittle, they're well on their way!